Now that the spotlights are on unmanned vehicles for various tasks in subsea survey, inspection and maintenance, it’s interesting to see how two businesses are looking at the technology. In 2016, Kongsberg and the start-up Eelume started their cooperation to develop an innovative type of underwater robot that can live permanently on the seafloor. Furthermore, because of its snake-like shape and flexibility, it will be prepared to access areas that are difficult to get to with traditional technology. 'Hydro International' interviewed Richard Mills, Sales Director Marine Robotics, Kongsberg Martime, and Arne Kjørsvik, CEO of Eelume AS. After a long time of relative stability in the design and tasks of AUVs and ROVs, there seem to be a movement over the past years. What do you see as the most important recent developments related to survey and mapping? The most important recent developments with regard to mapping and survey vehicles has been in how the data is handled. Until very recently, the vast majority of data collected by AUVs, such as side-scan imagery or bathymetry, has been processed either on the mother ship, or on shore. These processes have been heavily reliant on human input. However, in the last few months we have seen the introduction of in-mission processing, and cloud-based data handling services. Now some of the manual data processing can be completed automatically, thereby reducing the time from data collection to reporting. How was the Eelume snake-like operational concept invented? The idea behind snake robotics surfaced early in 2000 due to discussions between the firefighting department in Trondheim city and the Norwegian University of Science and Technology (NTNU). NTNU had started to develop a controllable firefighting hose that could spray water in confined spaces. The next step was to put the snake into water to see if it would also swim like a snake. That’s when the concept for a swimming snake-like robot was born. What kind of operations were intially anticipated for the device , and how is this developing? We are working on two main operational capabilities: inspection and light intervention. The inspection task is an obvious step, with a flexible vehicle that can access tight spaces and places that larger vehicles cannot access. The intervention capability is being driven by the oil and gas industry, with the requirement to reduce costs. Obviously there are some challenges to operating a valve with a small vehicle, so we are collaborating with established suppliers in the industry to deliver a redesigned electric torque tool. What was the biggest challenge faced by the developers during the research and design? As for most development projects, time and resources are challenging, however, Eelume has strong supporters that are key elements for success. The Eelume solution will be able to work tethered, much like an ROV, or untethered like an AUV. Furthermore, Eelume will connect to a high-bandwidth communications network for direct control when untethered. This mode is essential for interacting with structures. Ensuring correct system architecture and software protocols to enable all of these control methods while retaining the compact, flexible and modular hardware is perhaps one of the greatest challenges. Will this be a principal choice for the future users or will the device be hybrid so the user can choose easily? With a new concept like Eelume, we are limited by imagination rather than technology. The final solution will have hybrid capabilities, working like a tethered or untethered ROV, and autonomously like a survey class AUV, following a mission plan. Today, intervention tasks demand an operator in the loop, but we see that may change as autonomous operations become culturally acceptable. Will an Eelume robot be capable of accomplishing just one task or can a user retool a device – even underwater? The plan is to enable Eelume to attach swappable tools and battery modules. These will be located on a rack or carousel located subsea along with the vehicle dock. The vehicle can then select which tool it needs, whether that is a torque tool, cleaning brush, or extra battery for longer endurance missions. Will the robot have an impact on payload design in general? At present, the majority of ROV tools are quite heavy and hydraulically operated. We have started to work with tool designers and suppliers to create custom, light weight electric tools specifically tailored for the Eelume vehicle. As the Eelume vehicles can stay underwater for a longer time, how will operators keep track of the device, also for aspects such as position keeping and maintenance? Most underwater vehicles have a combination of sensors for navigation and positioning. Eelume is no different. The vehicle has an inertial measurement unit, coupled with other sensors like a depth sensor or Doppler Velocity Log for navigation. We will also use relative positioning in and around templates and structures. How was the concept received during the introduction at Ocean Business in Southampton? What were the most remarkable ‘new’ uses for unmanned underwater work suggested or anticipated by users? The project has been very well received, not only at Ocean Business, but also at the Australasian Oil and Gas show, AUVSI in the USA and most recently Oceans 17 in Aberdeen. We have sought feedback specifically on the capabilities and requirements for the vehicle, to ensure we develop a solution that works, and not just a cool vehicle. So far we have had interest from within the oil and gas industry, but also nuclear power stations, defence organisations, water suppliers and more. There are a number of projects that look at nature-derived technologies for propulsion and operating (unmanned) underwater vehicles. Are you looking into more options in this area? The field of biomimetic robot development has grown over recent years. Not least due to the videos presented by DARPA and Boston Dynamics of the walking style robots that might one day find their way into military use. In the commercial world, we are always interested in new developments and keep a watchful eye on many different styles of robots. Will the tasks and operations of current ROVs and AUVs change once the Eelume robot becomes more common? How do you imagine their designs to change? The IMR industry is changing. Not only are manufacturers developing new tools like Eelume, but also the oil companies are demanding more capability with ever growing pressure on costs. As a result, we see the opportunities for Eelume increasing. Having it located on the seafloor in a docking station right next to its area of operations provides 24/7 access to a capability that was only available when an ROV ship was present. Eelume is not affected by weather, ship endurance or crew fatigue and can be operated from almost anywhere around the world. This will make it easier for asset owners to conduct inspection on demand and scheduled inspections, and in addition utilise the necessary tool when needed. Richard Mills is the director of sales for Marine Robotics at Kongsberg Maritime. He leads the sales team for HUGIN, MUNIN, Eelume and USV product lines. Richard specialises in the commercial application of marine robotics. 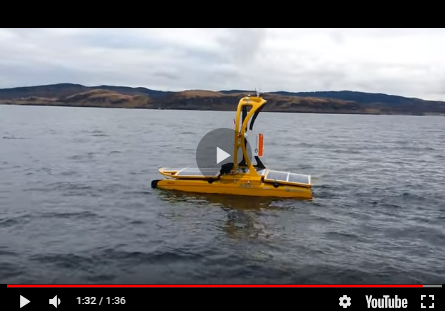 He is currently a board member of Eelume, a Norwegian company developing a subsea resident robot for IMR operations in collaboration with Kongsberg Maritime, Statoil and the Norwegian technical university (NTNU). Richard joined Kongsberg in 2012 from International Submarine Engineering Ltd. (ISE) based in Vancouver, Canada. He held a similar position with ISE. Prior to joining the subsea industry Richard was an officer in the UK’s Royal Air Force. Arne Kjørsvik has an MSc in Engineering Cybernetics from NTNU (Norwegian University of Science and Technology) and started his career as system developer at Novotek, and later at Kongsberg Defence and Aerospace working on underwater vehicles for mine counter measures. He then moved on to MARINTEK as a research engineer and worked on various control systems for vessels including simulator development. In 2006, he started at Marine Cybernetics, and became the chief market officer in 2008 and continued in that position until the company was sold to DNV-GL. He began at Eelume as CEO in September 2016. Eelume is a start-up company creating cost-saving disruptive underwater technology to the offshore industry.